Also, reputable Tarrytown locksmith companies such as One Stop Locksmith offer a range of lockout services and solutions. Their professionals also offer flat rates and discounted prices for emergency locksmith services auto lockout solutions. With an exceptional team of locksmiths, a good Tarrytown locksmith company can play a major role in your and your close ones’ safety. However, with a large number of Tarrytown locksmith companies, you need to hire a company that is best at what it does. with a good locksmith company in Tarrytown, you will not only get a wide range of options to choose from but also get the chance to work with the best locksmiths in the region for affordable yet valuable lockout services. You first need to identify your needs. What is it that you actually require? Do you need to equip your home with security cameras or fire alarm systems? Have you lost or misplaced your car keys? Do you need to break the lock on your office door? Depending on the nature of your need, you need to hire specialized locksmiths who have relevant experience and expertise in that area. For example, if you have lost the keys to the main door of your home, then you need to consult a residential locksmith who is well-versed with residential lockouts and other emergencies. Referrals are probably the best way to ensure that the team of locksmiths you have hired is indeed capable and efficient enough. Get referrals from anyone close to you, such as friends, family members or colleagues. Referrals and personal recommendations can help you a lot better as you already know someone who has hired locksmith earlier and have availed the services offered by that Tarrytown locksmith company. Personal recommendations are a great way of making a better decision and generate a better partnership with your team of professional locksmiths. Your locksmiths from the company need to be licensed by the security and other relevant departments of the state to perform locksmith tasks. It is extremely important to ensure that the locksmith you have hired is fully licensed to do the same job. To apply for a license means the locksmith has had to go through a background check. It is important to verify that you are working with a licensed locksmith to avoid any unscrupulous technicians that may damage locks or sell your private information to burglars. You can always rely on the professionalism and efficiency of a licensed locksmith and will also know who you can hold accountable in case of any legal problems and other issues. Make note of the company’s name, address, contact number, and other required details and get down to doing some research on the image and reputation of that company. You can do this by doing some research online and using the internet to go through customer reviews and feedback. 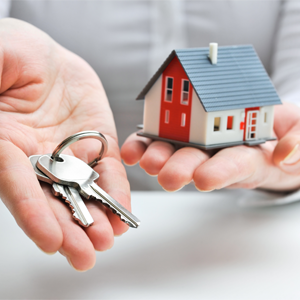 You will also find great listings of locksmith companies located in and around Tarrytown region. The internet is a great tool to research and check the background and history of locksmith companies located near you. Customer reviews and feedback from either the locksmith company or their locksmiths can give you a better idea of their reputation, image, and efficiency in the region. Determine whether your locksmith company offers insurance coverage with their range of locksmith services and solutions. If you think that you need to be covered in case of loss or damage to property, theft of belongings, etc., then inquire about any full or partial insurance coverage that they might have to offer to their customers. An insured locksmith ensures that both their company and your property are covered in the event some unforeseen damage happens. If an accident occurs on your property during work while a service is performed, you will be covered. It is even better if your locksmith is fully bonded, which means that the locksmith is in a good position to either fully or partially reimburse you as a part of their protection charges. While dealing with a lockout, there is a lot that could probably go wrong and which might jeopardize your safety and security even further. Therefore, in order to protect you at all times, bonded locksmiths offer a reimbursement guarantee to the property owner in the case of any damage. This is previously agreed upon between you and the locksmith. This is an added protection for each party. Most licensed locksmiths that are members of an association have access to affordable bonding. Check if the locksmith company in Tarrytown is in the vicinity of your region. Their working hours must be suitable and flexible enough, especially when it comes to offering emergency assistance or 24×7 support. Be sure you won’t be charged extra for out-of-area or off-hours service calls. And even if they do charge you extra for calling their locksmiths post working hours, know the exact pricing and charges that you will have to pay for such services and assistance. With the right Tarrytown locksmith company, you can equip your home, office or automobile with the best safety features and locksmith systems. Regardless of whether you need a simple lock and key for your house door, or advanced locking and security systems for your office, the right team of locksmiths in Tarrytown will help you in the easiest and quickest manner.